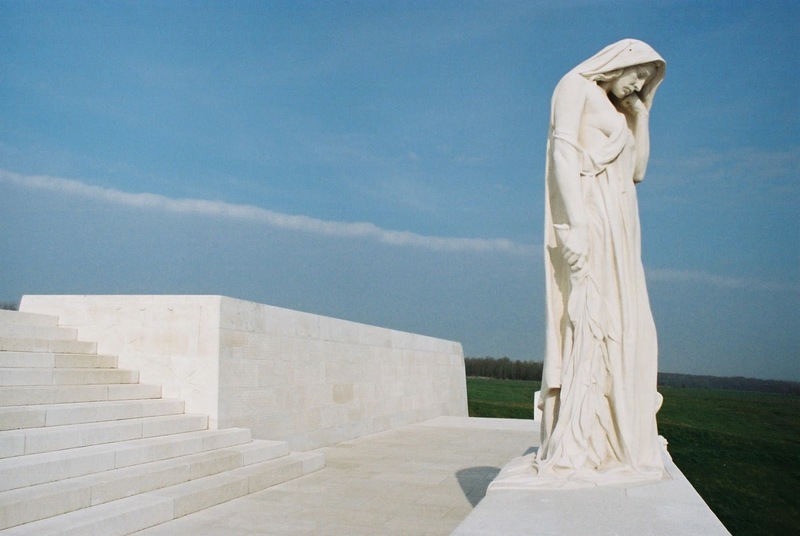 This year marks the 100th anniversary of the Battle of Vimy Ridge. Early on a miserable, cold and sleeting Easter Monday a century ago, all four divisions of the Canadian Expeditionary Force, 100,000 strong, went into battle for the first time altogether. In the stagnant, entrenched warfare of the time, Vimy Ridge was a well-fortified German stronghold. Over 100,000 French soldiers had already given their lives trying to take the scarred crease of land seven kilometres long and 60 meters high in northern France. The well-organized Canadians conquered the Ridge in days, but at staggering costs. There were over 10,000 Canadian casualties, including 3,600 killed in less than four days. After years of losses, the victory was hailed across Allied Europe and in newspapers all over Canada. Many later declared that the ‘Canadian nation was born at Vimy Ridge’ as it signalled to Great Britain and to our young nation that we could stand on our own as an autonomous country. Others accurately point out that Canada was involved in more significant battles as WWI raged on for another year and a half, and that the victory at Vimy Ridge encouraged Prime Minister Borden to send even more young Canadians into the fray with the introduction of the very divisive policy of conscription. The often harshly illuminating light of time shows us that millions of young men from both sides were “sent over the top” in this ‘war to end all wars’, knowingly sacrificed by commanders who believed gaining a few hundred meters of bloodied ground was worth the loss. This included men obliterated by artillery, men who froze to death, men who drowned in trenches and men killed by poison gas. As Peter Mansbridge so poignantly wrote, there is no glory there. Today, a majestic monument rises up from the fields at Vimy Ridge. It is not so much a shrine to war as it is to sadness and mourning. The central figure among the twenty carved into the concrete is called “Canada Bereft” and the messages of grief and sorrow expressed in all of the figures are clear and profound. The two soaring figures atop the spectacular towers represent justice and peace, and watch over the names of 11,285 Canadians who died in France during the war, but were never found. I know I would be scared out of my mind if I was in a cold, muddy trench, preparing to go over the top to face a formidable and deadly foe; indeed, I am not sure I could do it. I hold the sacrifices of my grandfather’s generation (and Canadian troops who have followed) in the highest regard and fully appreciate the significance of their contributions to freedom, and to the identity of Canada. Indeed, it makes the challenges I face and the things I worry about seem insignificant. I also like to believe William would be pleased to know that a son of his son thinks of him, and that he finds it worthwhile to write down his thoughts from time to time. To you from failing hands we throw the torch; be yours to hold it high.